This past weekend I headed to Atlantic City, New Jersey to run the AmeriHealth NJ Atlantic City Half Marathon. When I left home, my only objective was finishing the half marathon and checking New Jersey off my list (State #23 for those of you playing along at home). But when I got there, I realized that I wasn’t just running a race. I was going to be running through the Monopoly board, only they weren’t going to be giving me $200 to pass Go. After picking up my bib, I started wandering around. I found a city with a rich history and beautiful old buildings that were overshadowed by the glitzy casinos, cheap souvenir stores, and carnival games along the Boardwalk. I shudder to think of the buildings that were torn down to make room for the huge casinos. There were probably some real architectural gems lost. I stopped in the Atlantic City Historical Museum, a small but very interesting museum. I learned that Atlantic City can be credited, among other things, for the first boardwalk, the first paid life guards, the first picture post cards, and the invention of salt water taffy. In the 1930s Atlantic City had exhibitions of boxing cats, a kangaroo that boxed men daring enough to step up to the challenge, and a horse that dove off a 40-foot high tower. The golf term “birdie” was even coined at the Country Club in Atlantic City. The decline of Atlantic City started with the advent of home air conditioning and backyard pools, and the affordability of air travel. 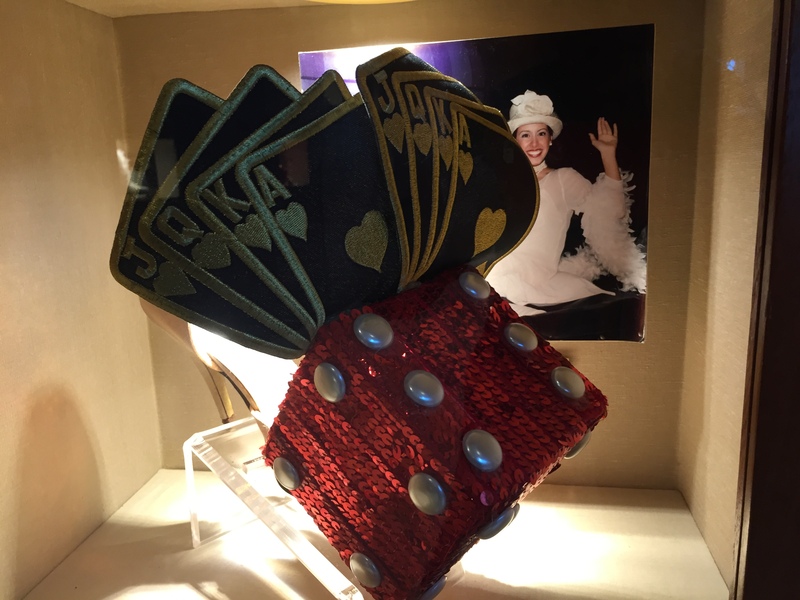 My hotel had a big display of Miss America memorabilia including gowns, tiaras, a statue of Bert Parks, and, my favorite, a display of shoes in the bar aptly named the Shoe Bar. The shoes were worn by various Miss America contestants in the Miss America parade along the Boardwalk. The parade is never televised but is very popular with the locals. The contestants get to be creative with their shoe designs which can be “elegant, historic, humorous, or fashionable”. During the Miss America parade, spectators shout “Show me your shoes!” I didn’t see many shoes that you could actually walk in. The full marathon course would be passing a 6-story high elephant built in 1881 called “Lucy”. Since I was only running the half marathon, I wouldn’t get to see Lucy. 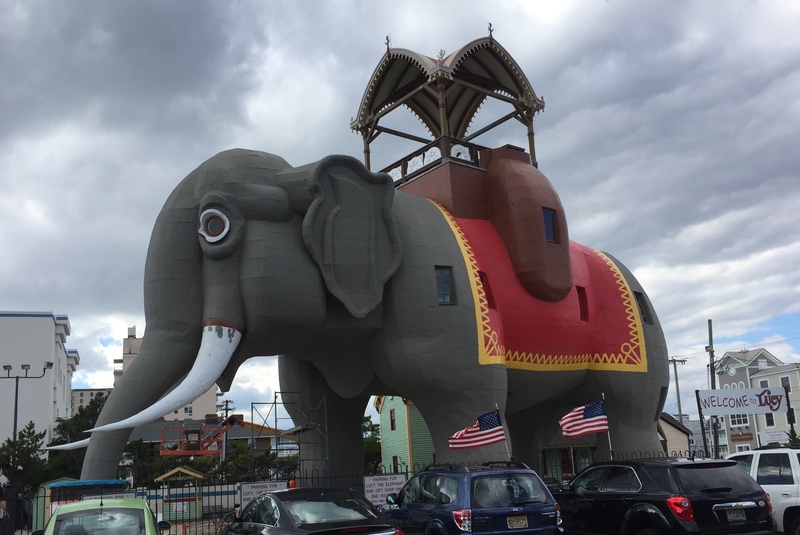 On Saturday I drove down to Margate to check out this elephant. Lucy is a National Historic Landmark and probably the first roadside attraction. You can take a tour of the inside of Lucy but I decided that a photo from the outside was sufficient for me. 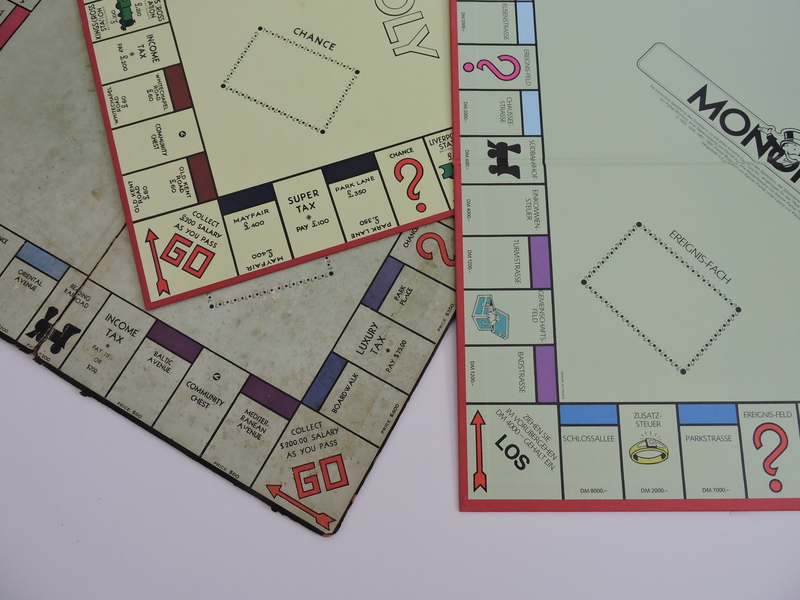 Driving around Atlantic City, I saw many of the streets that I remembered seeing on the Monopoly board – Ventnor, Baltic, Atlantic, Pacific, New York, Park Place, and of course, Boardwalk. Only two streets from the original board game no longer exist – St Charles Place that was torn up to make way for the Showboat Casino and Illinois Avenue that was renamed Dr. Martin Luther King Jr. Boulevard. I kept thinking about playing Monopoly as a kid. It was a popular game on rainy summer days when we couldn’t head to the pool. My favorite tokens were the top hat and the iron. At one point, when my husband and I traveled, we decided to buy a Monopoly game from each foreign country we visited. The UK version was pretty cool with properties based on places in London. Then we picked one up in Germany. We couldn’t read enough German to understand the Community Chest and Chance cards when we played that version. I think that was when we quit buying Monopoly games and switched to buying small watercolor paintings of places we visited; they took up less room in the suitcase too. It was unseasonably cool on Sunday for the race. I could see the wind turbines turning from my hotel window. They were the first clue to the winds we were going to encounter during the race. We had headwinds regardless of which direction we were running. The race was the perfect size for me – about 2,100 runners between the full and half marathons – not too big, not too small. The course started on the Boardwalk but quickly veered off to run through the streets of Atlantic City. There was not much entertainment or cheering crowds along the course for the first half or so. We headed back onto the Boardwalk at Mile 8 where we ran the remainder of the race. The Boardwalk was not closed to other people so we were running through groups of tourists and people on bicycles. 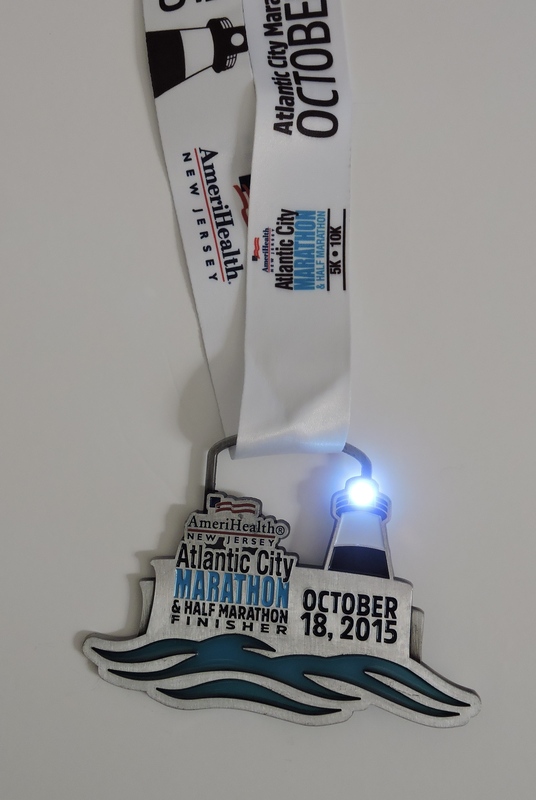 The race medal featuring the Absecon Lighthouse – the light even blinks! It occurred to me later that we had run on almost every kind of surface: asphalt, concrete, and over 5 miles on the Boardwalk. This boardwalk was not as springy as the one I remember running on at Disney World. But it still was much easier on the bones than concrete. When I came back from New Jersey, I decided that I wanted to know more about the history of the Monopoly game. I found an interesting article about how Atlantic City has changed since the game was introduced in 1935. I also learned that during World War 2, Monopoly games were distributed by fake charity groups to POWs held by the Germans. Hidden inside the games were maps, compasses, real money and other objects that they would need for escaping. None of these special editions survived the war and it wasn’t until 1990 that the existence of these games was made public. Next stop on my “Running the USA” tour: Savannah, Georgia!